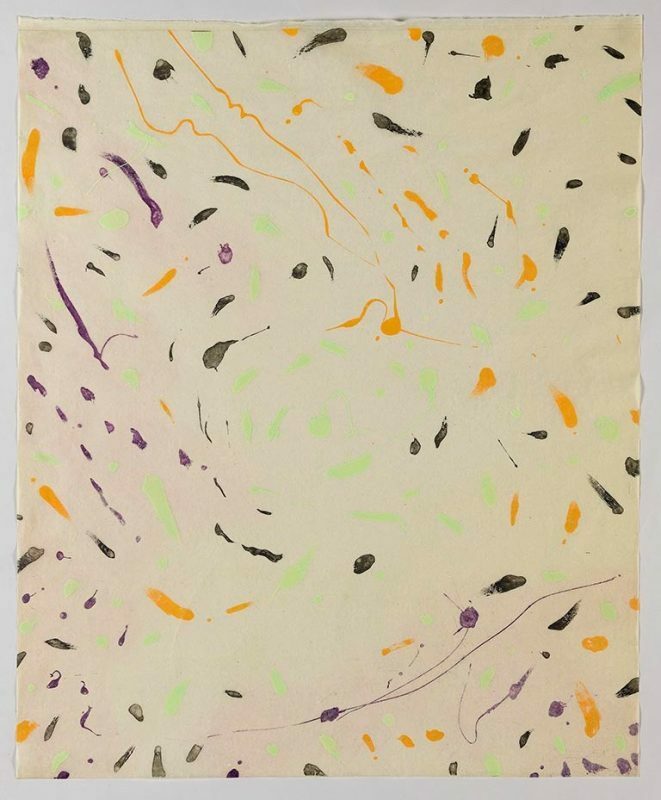 Jacob van Schalkwyk, Waltz, 2016, Sugarlift aquatint in colours, 66 x 54cm. 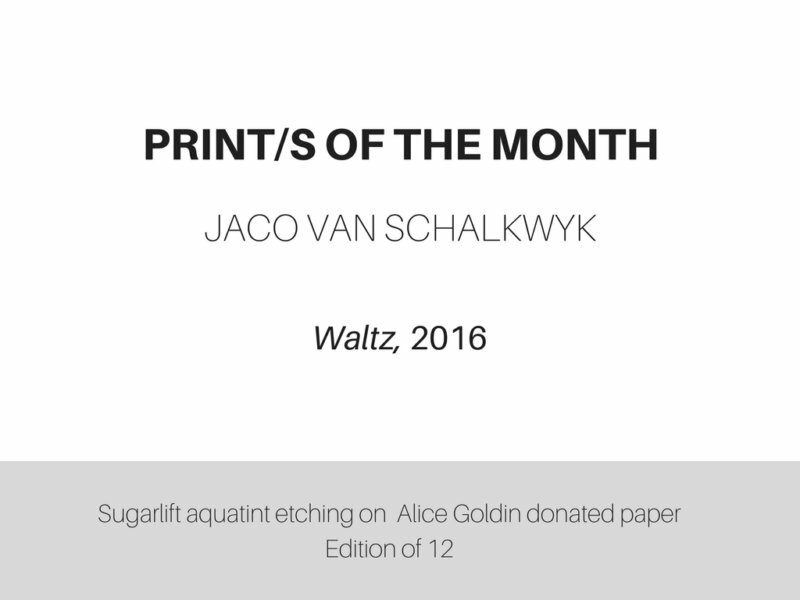 Jaco van Schalkwyk’s Waltz is a multi-plate deeply bitten, sugarlift aquatint etching printed onto a thin translucent paper*. 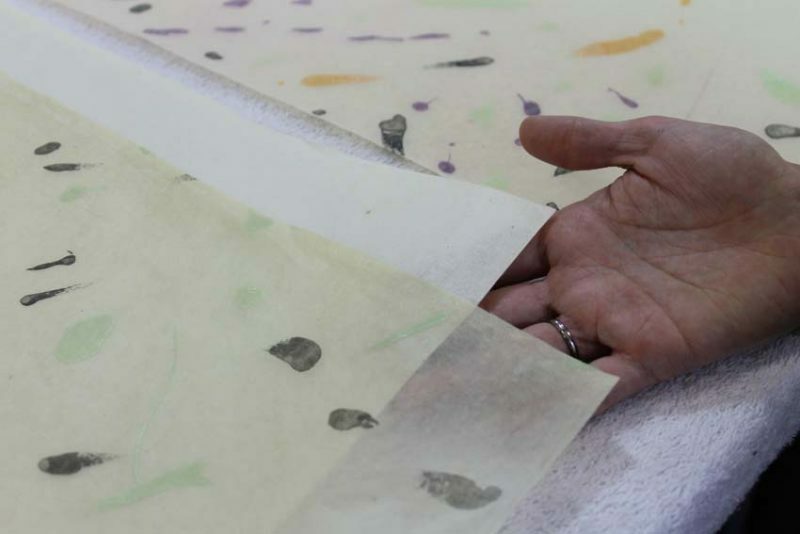 The technique of sugarlift (painting with sugar) allows for gestural and painterly marks to be etched into the copper plate and plates were deeply bitten to hold a large amount of ink. 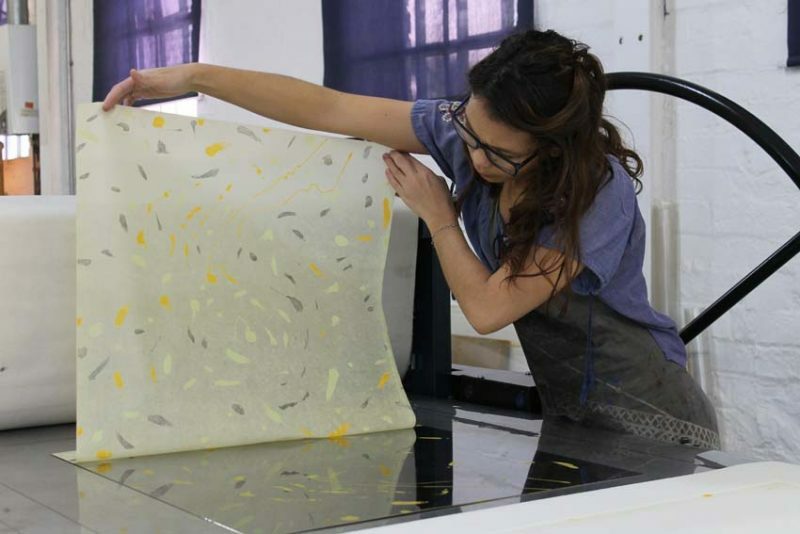 This print demonstrates Van Schalkwyk’s carefully considered colour selections, utilize the nature of delicately thin paper and combine most sensitively his use of both gestural mark making and rigid line quality. As its name suggests the gestural quality of the painted marks imply the movement of the dance. Being printed from both sides also alludes to the “partner”. 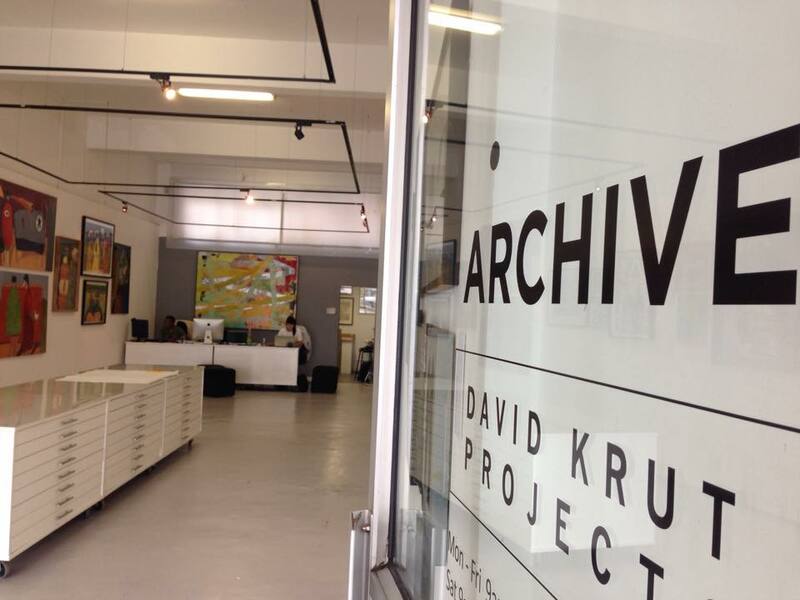 *In 2010, the late artist Alice Goldin donated a large amount of rice papers to DKW. In the early 2000s, Jacob van Schalkwyk made a 16 mm film based on Alice Goldin’s work. In December 2015, David Krut and Jacob van Schalkwyk spoke about the incidence of both of these facts and that van Schalkwyk’s collaboration scheduled for mid-2016 include this paper. See more work by van Schalkwyk here and read more about the second print in the series: “W” here.